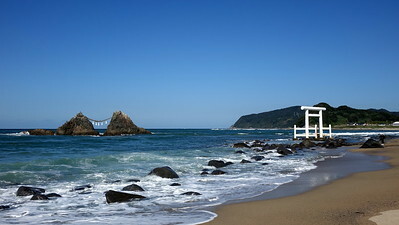 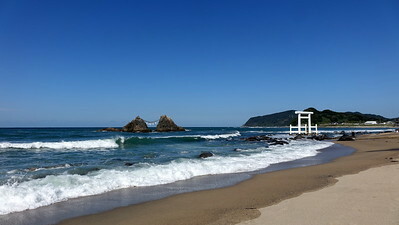 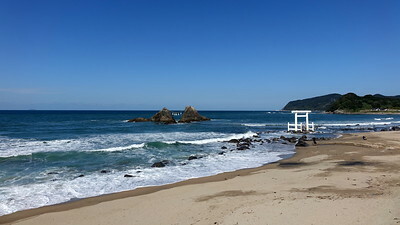 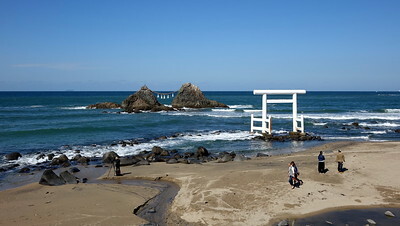 This is Futamigaura beach in Itoshima, Kyushu. 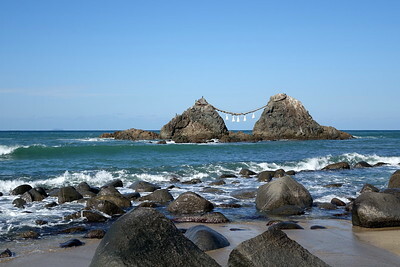 There are two rocks standing in the ocean approximately 150 meters away from the beach. 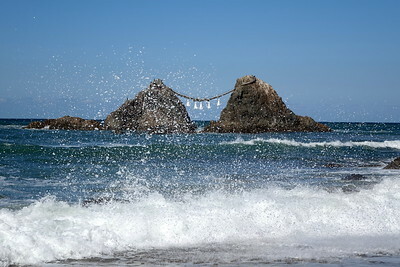 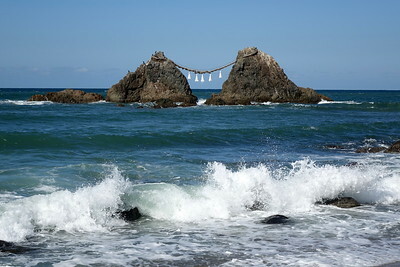 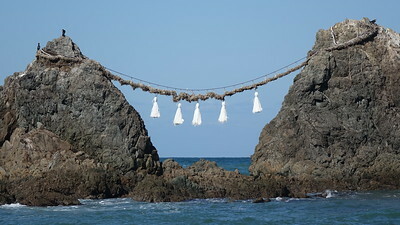 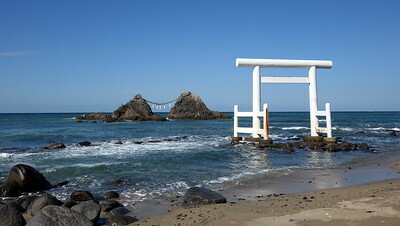 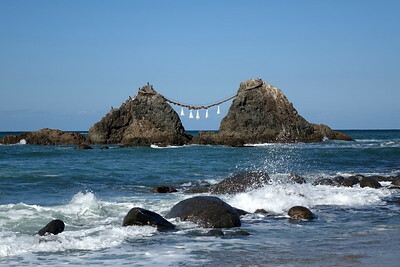 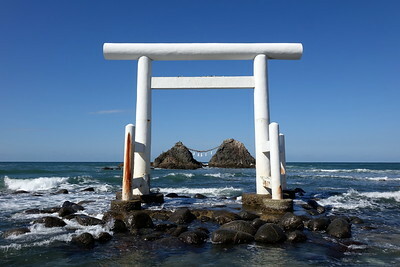 These rocks, called “Meotoiwa (Husband and Wife Rocks)”, are decorated with Shimenawa (a sacred braided straw rope) that is 30 meters long and weighs 1 ton and the rocks are considered a local holy place. 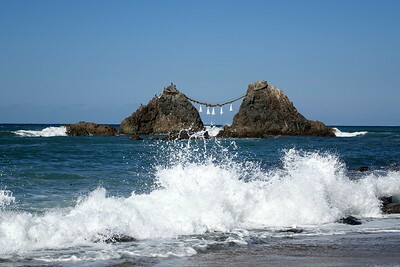 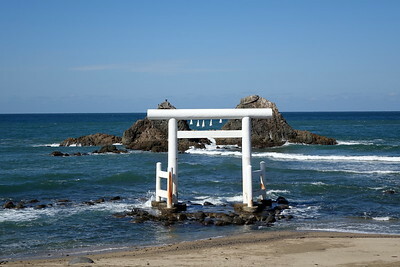 Itoshima is a 30 minute drive from Hakata.